All Covered Under Eye Concealer covers dark circles, discolorations and imperfections under eyes, providing a natural, flawless skin effect. 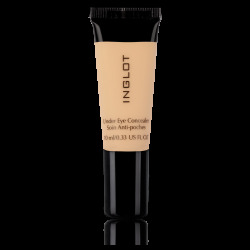 Apart from its main role as an under eye concealer, this multitask product with a creamy formula covers imperfections on particular parts of the face or even works as a contouring tool with the strong coverage. Its water-resistant character and the inclusion of beneficial film formers make the product long-lasting and working well in different outside conditions like gym or hot and humid climatic conditions. The carefully chosen ingredients care both for the skin and impeccable final effect. Saffron extract so called ‘red gold’ moisturizes the skin and visually improves its elasticity and while ‘the youth vitamin’ better known as the vitamin E protects the skin against free radicals. 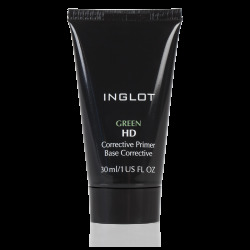 Unique pigments of creamy texture ensure buildable coverage. DIMETHICONE, WATER/AQUA, POLYMETHYLSILSESQUIOXANE, ISODODECANE, GLYCERIN, C24-28 ALKYLDIMETHYLSILOXY TRIMETHYLSILOXYSILICATE, BUTYLENE GLYCOL, MICA, PEG-10 DIMETHICONE, POLYSILICONE-11, PEG/PPG-18/18 DIMETHICONE, ALUMINUM HYDROXIDE, PHENOXYETHANOL, SODIUM DILAURAMIDOGLUTAMIDE LYSINE, CAPRYLYL GLYCOL, TOCOPHEROL, POTASSIUM SORBATE, MAGNESIUM CHLORIDE, HEXYLENE GLYCOL, SODIUM BENZOATE, CARAMEL, CROCUS SATIVUS STIGMA EXTRACT [+/- (MAY CONTAIN): IRON OXIDES (CI 77491, CI 77492, CI 77499), TITANIUM DIOXIDE (CI 77891)].